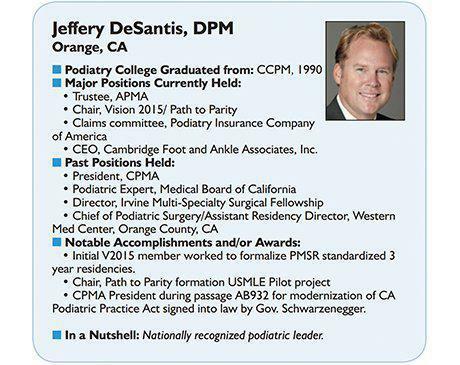 Jeffrey R. DeSantis, D.P.M., F.A.C.F.A.S., is a leading podiatrist providing patient-centered care for patients of all ages at Cambridge Foot & Ankle Associates, Inc. in Newport Beach and Orange, CA. Skilled in both simple and complex podiatric procedures and treatments, Dr. DeSantis offers advanced care options for issues like ingrown toenails, plantar warts, bunions, hammer toes, neuromas, bone spurs, heel pain, plantar fasciitis, ankle injuries and sports injuries. He also practices traditional and minimally-invasive foot and ankle surgery, laser toenail fungus treatment, custom orthotics and preventive care to help patients avoid problems in the future. 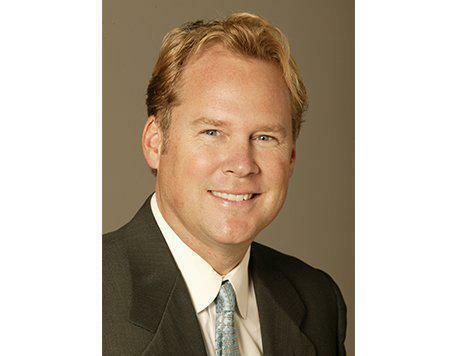 Dr. DeSantis earned his medical degree at the California College of Podiatric Medicine in San Francisco, CA. He then completed his surgical residency at Pacific Coast Hospital in San Francisco, CA. A diplomat of the American Board of Foot Surgery, as well as Reconstructive Rearfoot and Ankle Surgery, Dr. DeSantis is dedicated to providing patient-centered care based on each patient’s unique needs, lifestyle and treatment objectives. As a top-ranked podiatrist in Orange County, Dr. DeSantis helps patients understand the cause of their symptoms, providing the most appropriate care to treat underlying symptoms for long-term relief and improved mobility. Dr. DeSantis welcomes the opportunity to treat new patients and the practice accepts most medical insurance plans.